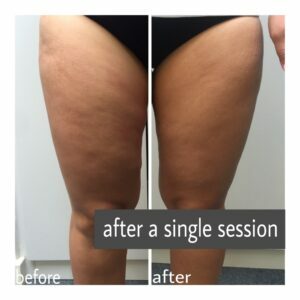 *Clinical trials showed 91% of clients saw up-to 5cm loss after 1 session! This laser is not creating any unnatural reaction in the body nor does it affect or damage any surrounding structures such as skin, blood vessels and peripheral nerves. A period of exercise post treatment will ensure the complete metabolism and elimination from the body of the freed fatty acids. 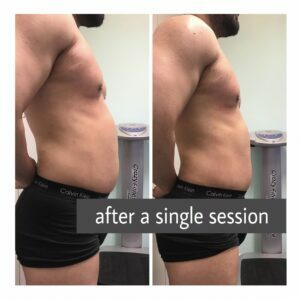 Clinical research carried out in 2013 saw a staggering 91% of patients seeing a reduction of up to 2-5cm loss around the waist and abdominal area after only one session, with the latest innovative technology. We currently have offers on this procedure. Please see our promotions. It is recommended to have multiple sessions to achieve desired result. 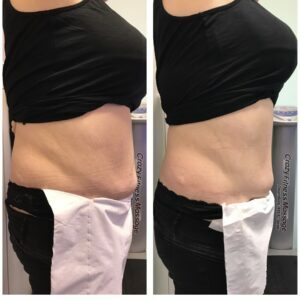 Each session of Laser Lipo takes approximately 35-45 minutes. This is enough time for our high powered technology to break down the fat cells.